How can I take my kids on a roadtrip across the U.S? Remember the feeling of a field trip day at school? A diversion from the routine in the classroom. A palpable excitement exuding from the students wiggling in line to board the broad steps of the school bus. The permission slip was the linchpin to any field trip. I remember carefully placing the detached bottom portion with my mom’s signature in my backpack. I did not want to be one of the poor misfortunates that the teachers warned us about – kids who did not have permission would be left behind to do school work in a class the grade below us. In a sense, the adventure I am on right now – The Great American Field Trip began with the same first step. This year, the time had come. The kids were old enough. I signed on the proverbial dotted line and gave myself permission to toss aside the map society provides and instead follow my heart. I began planning our departure for what I named The Great American Field Trip. 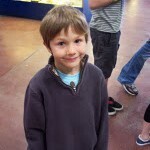 Driving across America roadschooling our four kids. This semester, I am the principal, the teacher, the librarian, the learner, the travel agent, the parent and the bus, err…minivan driver. Think one room school house meets Around the World in 80 Days. OK, not literally the world, but 26 states. We have an eighth grader, fifth grader, fourth grader and first grader. Two girls, two boys. The Class Clown, the Organized Germaphobe, the Smashed Penny Collector, and the Teenager. School on the Road is a bit different. There is no front office. No school cafeteria, desks, textbooks, P.E. uniforms, tardy slips, grades, or bells. Also absent – a safety net of predetermined standards and curriculum. Every day is field trip day. We left on August 26, 2011. As we pulled out of our driveway, in Costa Mesa, CA, and joined the drivers on the road I could not help think that many no doubt were headed to do some back to school shopping. I felt like I was beginning a back to life spree. More than halfway through our trip now, our GPA’s are soaring. But just like many things on the road we have created our own definition of the now obsolete Grade Point Average. In its stead, a Growth Perspective Achievement. Growth happens when we expand our horizons, are forced to think in new ways. Growing also includes increased patience and empathy. Perspective is tied to the realization that how we view our world is shaped by our experiences and environment. Attempting to see the world through other’s lenses has been a corner stone of this trip. As we seek to answer the question, “What is an American?” We realize there are many correct answers. Achievement encompasses setting goals and achieving them. Taking risks, both small and big. Unlike the conventional system of grading, there is no quantitative way to measure our GPA. There is no ceiling. At the end of the semester, I will not be able to reduce what we have learned to an average of numbers or scores. We are learning what learning really is. One cannot learn alone just as one cannot teach alone. I am a student just as much as my kids are. We have learned so much from the voices of the past. Those, who despite massive challenges, pursued the promise of a better life, a better country. Their innovation, creativity and perseverance have inspired us. We stand on their shoulders. We are visiting the places where they lived, stood, worked or bled. We are reading the words they wrote or spoke. Some are famous like Thomas Jefferson, Abraham Lincoln, and Marin Luther King. But most are ordinary people. A soldier on a battlefield who cannot be identified before he is buried. A Lakota woman, who in the face of losing her family, land, and way of life, continues to teach her daughters how to weave baskets. We have many living teachers who have enriched our GPAs. Wayd, our river rafting guide in Oregon. Matt, the Park Ranger who brought Gettysburg to life. Dwight, the farmer in Iowa who taught us about corn and took us fishing. The herd of bison in Yellowstone National Park, the majestic old growth redwood trees on the Northernmost tip of California. The World War II Veterans we met at the WWII Memorial in Washington D.C. Susan, who led us on a bike tour through the Tidewater lands in Maryland where Harriet Tubman was a Slave before escaping. Books have been as important as fuel on this trip. Hannibal, Missouri was a highlight, boyhood home of Samuel Clemens. My kids’ memories of The Adventures of Tom Sawyer and The Adventures of Huckleberry Finn will not be of cramming for a test. Instead, I hope they will remember listening to the audio book while driving through beautiful scenery of the Great Plains and Midwest. They will remember pretending to paint Tom Sawyer’s fence in Hannibal and licking an ice cream on the banks of the mighty Mississippi. Like the river, Twain runs deep within them now. I think these quotations speak directly to the heart of our adventure. I hope long after The Great American Field Trip is over, my kids have learned among many lessons, one of the most important: have the guts to give yourself permission to throw out conventional maps and trust your inner compass. Jill Fales may be recognized from one of her two weekly columns Mom’s Voice or as the under cover book reviewer, Paige Turner, in the Newport Beach Independent. 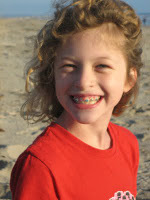 Her writing has also appeared in Coast Kids Magazine, The Coastal Real Estate Guide, and The Newport Mesa Daily Voice. Jill is the mother of 4 children (ages 6-14). She earned B.S. degree in Human Development, a Masters degree in Special Education. After leaving formal classroom teaching to stay home with her kids, Jill began writing. She has hosted children’s book clubs for the last 6 years, and teaches Mommy and Me Sign Language classes. She enjoys traveling. Prior trips have included Europe, Indonesia, Australia, Japan, New Zealand, Honduras, and Belize. Now she is combining her passions: motherhood, writing, travel, reading, and teaching, as she criss-crosses the country with her four kids on “The Great American Field Trip”. Jill lives with her husband and their children in Costa Mesa, CA. 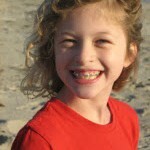 You can read about her Gutsy adventure on her blog: The Great American Field Trip. Thanks Jill for this great adventure which will inspire so many of us to take the plunge. Your children are adorable and I truly believe you are giving a huge “gift” to your children: something they will treasure for life. 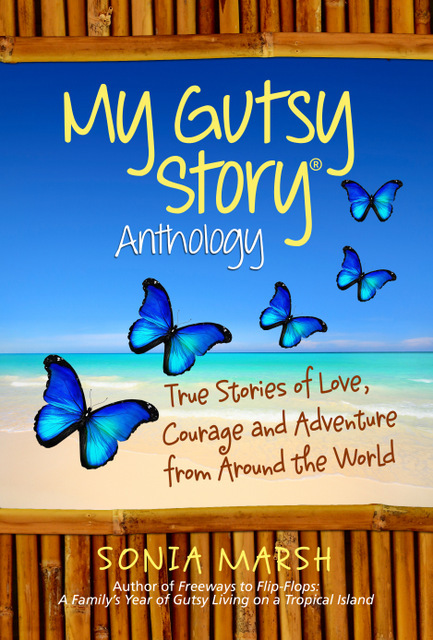 To submit your own, “My Gutsy Story” you can find all the information, and our sponsors on the “My Gutsy Story” contest page. Our first poll starts December 1st-December 14th to vote for your favorite “My Gutsy Story” of the month. 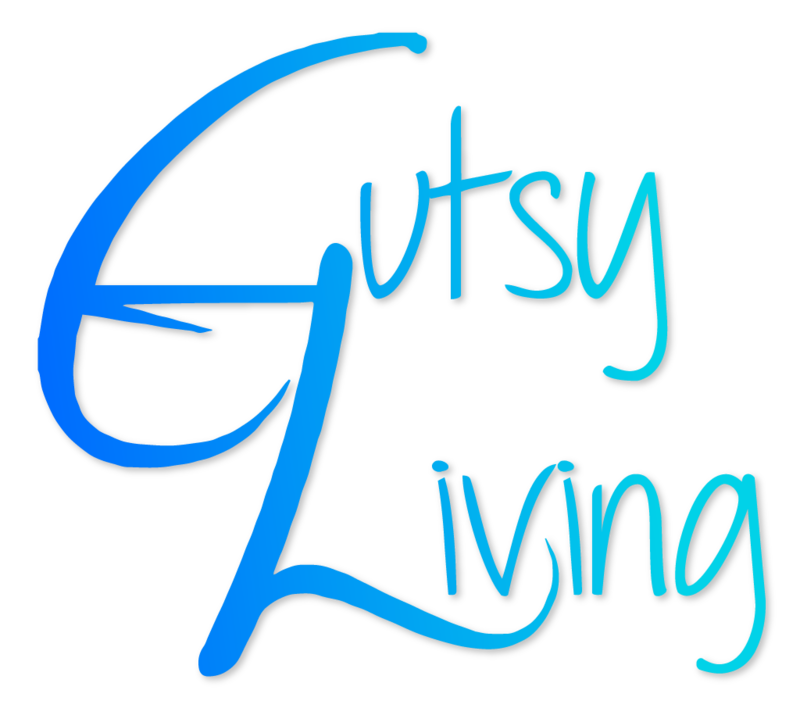 Thank you to those who have already submitted your “My Gutsy Story” to Gutsy Living. We are saving them for future posts and have five sponsors for November. We shall be getting more exciting sponsors in the future. Please leave your comments and questions for Jill Fales below and please share her inspiring story. Oh wow – yet another fabulously gutsy and inspiring story! Thank you mom, for such an amazing experience. I will always remember this Great American Field Trip. It really showed me how many different ways to live in American there are. What a great story! I am sure you have more memorable experiences than anything your kids could have gained from a textbook. Soooooo unbelievably inspiring. Such a beautiful and kind family!! I am inspired all over again when I read this story. What would our children be like if each one of them had an opportunity to travel through our great country understanding, as they go, the trials that our founding fathers endured. Way to go. The Fales kids have learned more in these months on the road than most kids learn in years of school. The living lessons and experiences will be forever remembered and understood in a much more significant way than textbook reading and regurgitation. Love this article and Jill’s blog! I look forward to meeting Jill in person when she returns to California. 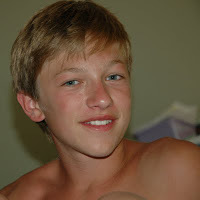 The best thing our family did was to take our kids to Belize for a year. Kids learn and change so much from taking them to new places. Thanks for your comment. As always Jill continues to inspire and amaze me with her parental insights! Courageous and amazing. Thank you for sharing your story! Jill has given her children the greatest gift of learning…being inside the book instead of just reading it. I wish we all had the ability and the guts to step outside the box of our educational system. Additionally, I think this essay challenges us to give ourselves permission to follow our hearts and do something out of the ordinary…whether it be learning a new language, buying that funky patterned slack, trying out for community theatre, or taking a chance on something new. Jill, you have an amazing gift as a mother, writer and, now, tour guide. Keep up your fabulous venture and, better yet, continue to keep up posted. Thank you all so much for your kind words. I hope you had a chance to peruse Sonia’s blog while you were here. She is an inspiration and I am honored to have a piece of me here. I love her concept of Gutsy Living. Wow Jill! What a ton of fans you have following you. If you answer each person, the comments box will be overflowing. Thanks for inspiring all of us with your story. Sonia. We need to meet up when you’re back and throw a GUTSY PARTY! I was getting an error page when I tried to comment, so I am now leaving it through a reply…Hope that works! What a fantastic idea, and what a nicely written account of the trip and the education that people can receive just by looking around at their surroundings! “Don’t let school interfere with your education” indeed…very wise words spoken by Mr. Twain! Congratulations to the Fales family on a journey well spent and to Jill on a winning article! 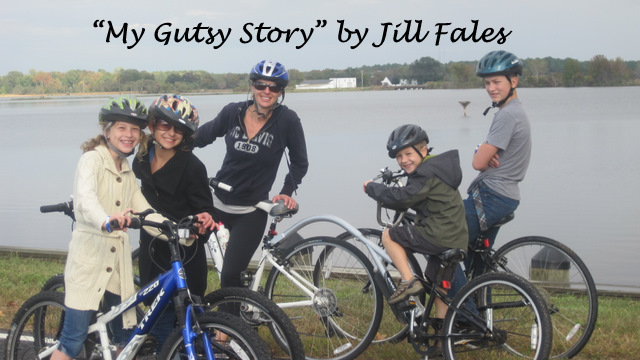 To have the “guts” to follow a different path….Jill Fales has given her family, and many others, such a gift. I love to read everything Jill writes…she makes me laugh, think, and feel like I’m along for the ride. While I don’t think an extended field trip is in my future, I think I’ll plan a few more day trips with my kids and enjoy what we find….. There are many interesting ways to enrich your children’s lives. Nice that you and your husband are able to give this memorable gift to your children. They will never forget it and are probably loving missing “regular” school. Jill, What a great adventure. You and your kids will never forget this trip, and the experiences received along the way. it was truly a gutsy move and not one that you hear of too often. What a great experience, Jill! Your kids will remember the moments, big and small, significant, trivial and embarrassing, for a lifetime!! Kudos to you and your family!! Happy Thanksgiving! An excellent adventure, to be sure. Thanks for sharing this with us all! Jill, wonderful stuff as usual. I love your writing style. So captivating. Also, beautiful family. Not surprised your story got picked. Come home soon. Speechless! Congratulations, Jill. P.S. Please adopt me. I’m 51, an old dog willing to learn new tricks. Holy WOW, Jill! That many hours in a minivan with the kids IS, indeed, gutsy! I am sure this is a school year none of you will ever forget. It’s also an inspiration to others who want to live outside the box. I just want to let you know I just bought two copies of your book about Duffy the Dog off your website. One for my kids, one for a holiday gift. We love dogs, we love books, and we love gifts where the money goes to a good cause! Home run Barbara, can’t wait until the package arrives! Hope to one day meet each other. I did not retain one thing I learned in school until I traveled and then it all became relevant. Why does it take us so long to figure this out? This is the most amazing learning experience anyone could have and I hope it inspires people to do something like it-even if it is just one trip this year. Jill, you have always been so inspirational by being a “DO-ER” and you lead by example. Most people just talk and dream of doing things, you DO them and I am so thankful for people like you. And the best part is that you have the talent of a gifted writer to share it all with the world! It’s a great story and a great piece of writing. It shows me the great experiences that a trip like this can bring to a family and help bring it closer together. I liked the intro because it was as if you were a student going on any other field trip, but this one greater than all. How inspirational Mrs fales, I am so happy i was able to share some of it with you. Thank you so much mom for making the field trip possible. this was a great piece of writing but I’m afraid you were unable to completely express what an amazing experience it really was. but then again. how could you? How nice of you to respond to your mom. I think she must be super special. Lucky you, and lucky mom to have you. What a wonderful reminder of the way a family should travel — with purpose and pleasure! So glad to have you comment on “Gutsy Living.” I know you from the Newport Beach Library Foundation events. I hope you remember me. See you next time. Glad you commented on Jill’s story. A new definition of being “on the road.” Love the re-definition of GPA, and the process of inhabiting one’s education, rather than having it brought to you. Very good, indeed. I just finished reading Jill’s “Great American Field Trip.” Honestly, I am jealous. I wish I could get a permission slip too. Her story is so inspiring. I have two children and would LOVE for them see America. I think too often we get caught up in our own little bubble…what our life is suppose to be for ourselves and our family…But Jill suggests that there is another path less traveled; rich with lessons from history. She reminds us to see beyond our own or societies limitations and look to the HORIZON….Who knows how that adventure might shape the person looking? Thank you Jill. Not just for the incredibly moving and inspiring account of your journey, but for sharing with this needy world, what I know will be 4 grounded, thoughtful, enriched and enlightened individuals. What a beautifully written essay! Wouldn’t we all want to have a mother like Jill? WOW! I had to say thanks for stopping by and leaving a comment for Jill. I agree, she is quite the Mom. Jill and family, I feel like a “fly on the wall” all these weeks that you have been on the road. I have followed your American experience as you have written and broadcast your thoughts. I have been moved by your thoughts and appreciate being made a part of your journey. You all have such a talent for seeing and interpreting your experiences. Thanks for the memories. Jill, what makes this experience even more remarkable is that your children will read your vivid, humorous and poignant reflections about your “field trip” for the rest of their lives…what a legacy you are giving them! Thank you Jill- your story is such an inspiration and reminds me how important it is to show our children other perspectives, whether through travel or during dinner conversation. You are amazing! Thank you for for sharing your experience and lessons with us. You are an inspiration and a wonder to me. I love you. What an amazing journey and an inspired approach to learning! The Fales family is a great example of how to architect your own grand adventures – and actually make them happen, DIY style. What a powerful way to get a better understanding of their country and themselves, and create amazing memories in the process. Look forward to more stories from the road! Jill Fales, having followed the GAFT since your departure, I am constantly amazed at how you are able to cast such vivid illistrations in my mind through your insightful, whimsical, honest writing. You are the truest of talents, the positive impact and life lessons you are bestowing upon your children are surely beyond measure. Safe travels and keep those stories coming! The Fales children are getting the best education anyone could ever want. What a fabulous and wonderful adventure. Memory making at its best! Jill, I’ve been following you & your kids (not literally, of course!) since you pulled out of our driveway in August and in to so many others’. It has been an adventure to say the least. Let’s hope your story(ies) inspires all who read it to have their own Great American Field Trip experience BIG or small – I know I’m going to think of you all when I NEED to think out of the box. Love you all and looking forward to seeing you in December. Jill, I almost feel like I have been on this trip with you! I have followed your adventures and wish I could do the same with my kids! For me your trip is an important and deeply moving reminder of what a great country that we live in. Also, what an unbelievably beautiful and diverse landscape America has. Thank you for sharing your adventure with the “armchair” crowd! The way you warmly welcomed our family into your home while we were in Rapid City, SD, will never be forgotten. From the history lessons of the area, to hanging out in your historic home, homemade cookies, fresh bison burgers, and your down to earth family. Thank you for embracing us so! We felt spoiled and hope to return the hospitality one day. Jill, each time I read anything you write I am in awe. It’s hard to tell everyone what an incredible person you are in every situation. Your friendship means the world to me. You face all challenges head on and your children are learning so much from you and Matt, especially on how to live outside the box. Jill, You are truly an inspiration to us all. We can all find everyday ways to think out of the box. You have given your children a gift of adventure that they will never forget. Jill, I’ve been following your journey since you left….I eagerly await each new article. What a fabulous mom you are! Thanks for such a wonderful adventure. As a resident of Mark Twain’s boyhood home, I love that they learned about this great author in his footsteps. I also believe travel is the best teacher and have been following your blog since I met you in Hannibal. 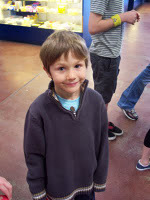 In fact, I visited the Indianapolis Childrens Museum with my youngest son after reading about your experience. Thanks for sharing. Thanks for living out what many of us moms wish we could do! Driving around the country with our kids teaching them the importance of history, struggle, community, and love! Jill, you’re the best! What a fabulous way to spend the summer…..for all of you. This could be a test run for ‘home’ schooling your children on the road. I could imagine your husband not taking to the idea but did it cross your mind, Jill? I just looked at your blog and read some of the later posts from your trip. Wow! what an experience you all had travelling this extensive route, no wonder your son said he felt ‘more aware’. I love the moment you describe when you finished Huckleberry Finn as you were crossing the Mississippi, the synchronicity is perfect as it always is if we don’t push the river. I feel sure this won’t be your last trip. Jill…what a truly amazing chapter you have helped to write in the books of each of your children’s lives! Wouldn’t be awesome if we could all have such amazing boots-on-the-ground experiential learning adventures. The kids would never be able to gain the insight they now have by reading about these things in textbooks. Congratulations to you for having the “guts” to throw caution to the wind and follow your own path. Your children will reap the dividends of that choice for years to come. Thank you also for redefining what a GPA is, and reminding the rest of us that report cards and SATs aren’t what really matter. I just want to say what an incrediable adventure you and your children went on. Not just the educational uplift that you have provided your children but the experience that you were able to share. Your children will always remember these times and become well rounded and intelligent adults. Kudos Kudos!! 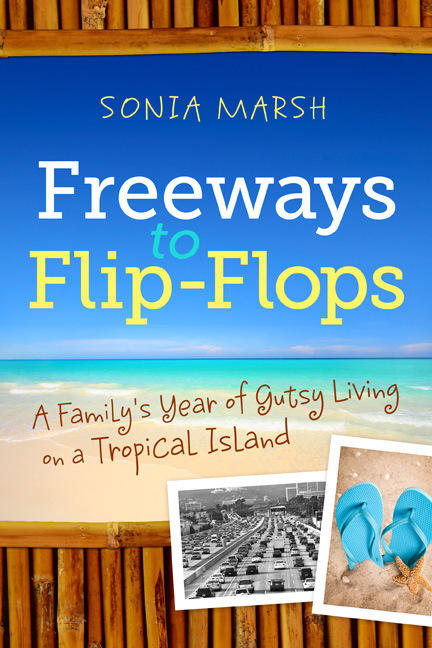 Being a lover of travel, a writer, a mother and a former teacher I love the entire idea! I’m sure your kids will thank you for this for a very long time. It’s been so awesome following you and your family across the country. I admire your sense of adventure and am quite certain you are building memories and lessons that will ast a lifetime. As always I am constantly inspired and an awe with everything you do. I wish I could be half the mother and role model you are. You are truly the best!!! As always I am continuously inspired and an awe with everything you do. I only wish I was half the mother you are. You are the best and your children are so lucky to have you. Amazing story. I am sure your kids will treasure the memories and will inspire them the rest of their lives. Congrats on a great story and trip. Jill, your travels and your writing are so inspiring, I can’t wait to read the whole book! Your children will never forget their experiences, nor all they’ve learned while having fun. I’m so impressed with all you have done to make your traveling schoolroom happen. We sure miss you around here, hope you come home soon! This is a great experience…Thank you for letting us be aware of this…Congratulations for the nice post!! What an amazing piece! I am so excited to hear more in person when you get back! You are such an inspirational mom!!!! What a loving, and giving family the Fales are. This is a gift to the kids that is worth more than any amount of money, gifts or anything could be. Time and adventures with your family, don’t we all wish we could have had more of that! And then to give us the gift of reading their adventures is just another wonderful gift! JILL!! You are such an inspiration, both on the educational and family fronts, and as a writer. Your topics are always so interesting, and I admire your creativity. Have a safe rest of your travels, and I look forward to seeing you and your family when you get back! I love this! Thanks for letting my mom and I join you for part of the trip it was such a fun way to learn! My favorite thing on Friday morning is to read your column in the Independent to learn of your adventures from that week. What a phenomenal gift you have given those kids. The real-life education that you have provided is better than anything that they would have read in the best book or have been taught by the best teacher. Your story is inspiring to all who read it. I am certain we will see it on the big screen someday. Happy Thanksgiving. And a big hug to Sally from Lauren. Jill, you are a woman who is born from her own inspiration every day. There’s nothing gutsier than that. You totally rock. Cheers for you! out how you and your children feel and respond. stay tuned. Share your gift! The world needs your expressiveness. I hope the Fales kids realize how lucky they are to have a gutsy mom who loves exposing her kids to gutsy adventures! Gutsy? Absolutely! If anyone could have pulled this off, it would be Jill. Congratulations for trusting your inner compass and following your dream! What an incredible, GUTSY adventure!! You tuned into your own heart and marched to the beat of your own drummer (even though it is SO not what we’re “supposed” to do) and parented the way that feels right to you. You truly inspire me. Jill – What a wonderful opportunity and experience you were able to provide your children. The Great American Road Trip reminded me of the road trips I took as a child and have fond memories of to this day. We can read about these places in books but to actually be able to visit them and experience their essence is an invaluable lesson. Kudos to you for having the guts to go on such a great adventure! The story you have here inspires a lot of people especially me…Congratulations for the nice post! yeah, you really can call it GUTSY going on the road with 4 children, but it was one of the greaterst gifts you could have given them. I enjoyed all the lessons you past on to your kids so I too have learned some (about time at my 80plus) but I did it sitting home in my arm chair. Thanks so much for sharing you trip with all of us. Jill…you are an inspiration…not only as a mother but as a female role model…definitely gutsy, amazingly aventurous and so darn creative! What a fabulous gift you have given your children…and in the end, yourself! 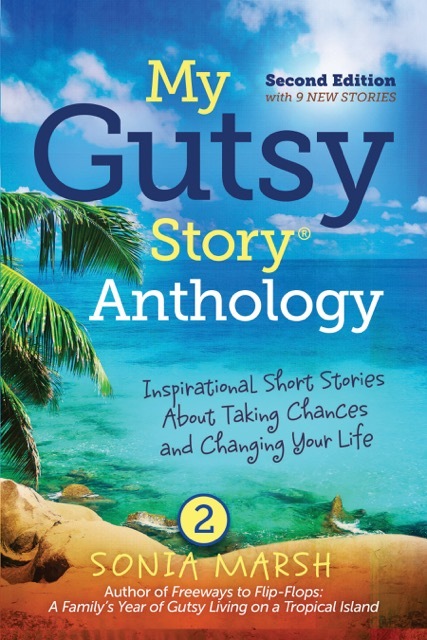 I love the story, I love your writing, I love your gutsy life! You inspire me to set out on my own adventure! I am so delighted and honored to have met Jill and her children and two of her friends when they stopped at the Tutwiler Hotel in Birmingham, Alabama. Since I have worked there ( almost three months now, as of this writing), on my days off, I have missed meeting and greeting a number of nationally and internationally known celebrities who check in. I don’t feel sad, though. Jill and her adorable family are AWESOME and FEARLESS people!!! Gutsy? Oh YES! I am simply grateful to the positive force of all that is good and beautiful and wonderful and dear in this universe of ours for their path to have crossed mine. What a journey they have had!!! Every U.S. school should have several copies of Jill’s DVD when it is completed!!!! I am very happy that when they stopped at our hotel it was not on my day off from work! Hallelujah for my new precious friends. We have vowed to stay in touch. Also, it was a special joy to be included in her blog. What a wonderful gift you are giving your children. Your words, and those of Mark Twain ring so true. My husband and I have included experiential learning with our daughter as well and I believe it contributed greatly to the wonderful person she is today. Thanks for sharing this great approach. 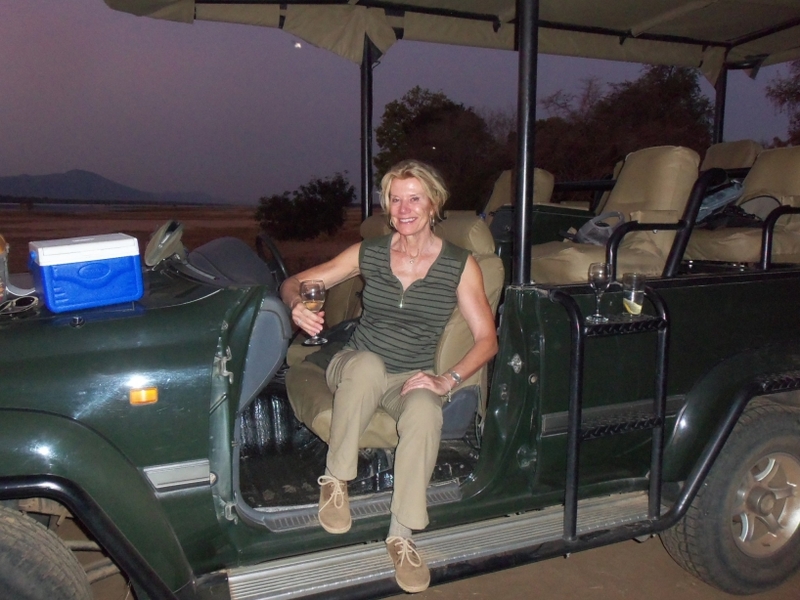 Jill Fales, your adventure is nothing short of a lifetime experience. Your permission granted to yourself is something we all need to consider as we define education and priority in our lives. What a fantastic gift you have given to your children and your family. I want the long version!